4k00:09Bryher, Isles of Scilly, UK - September 8, 2018. 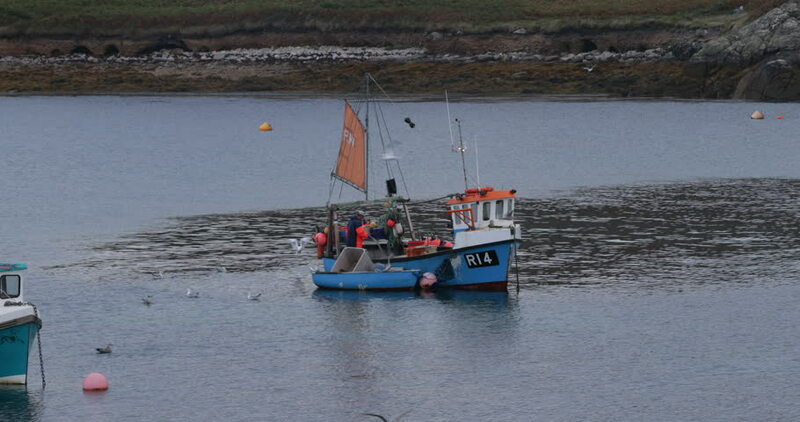 Fishing boats prepare for the day ahead on a calm morning off Bryher in Scilly. Fishing is the staple means of livelihood in these islands. hd00:08North Sea with cutter at the shores of Sylt, Germany. Kutter in der Nähe von Sylt.